It is nicesubmitted by Thomas F. - Dec 20, 2017 |Recommended: YesIt is a very nice place to live. We have 2 young children and they love the Mill and it's play spaces and movies on the green. The pool area is wonderful in the summertime. 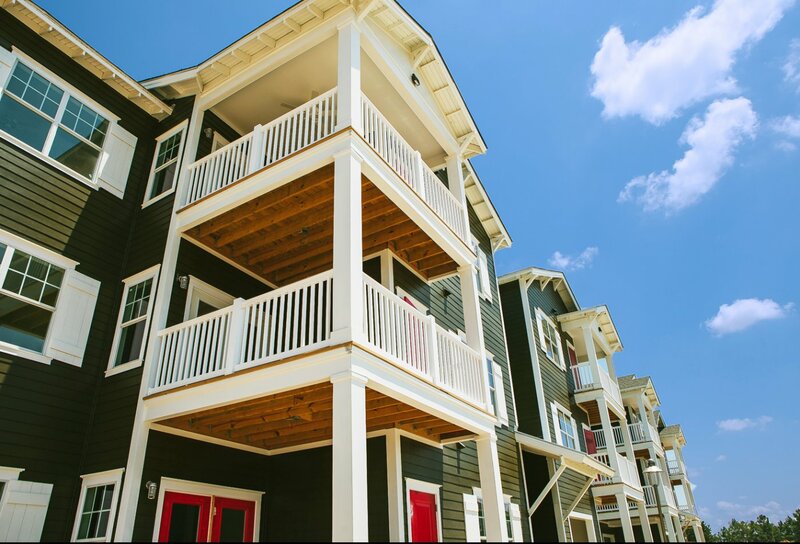 Not like apartment living.submitted by Jordan H. - Apr 18, 2017 |Recommended: YesLiving at Massee on Main 3 is like living the resort lifestyle. The apartments are just beautifully designed and there is so much natural lighting, making a small space look bigger and more lively. I love our apartment and the propertysubmitted by Justin H. - Jan 31, 2017 |Recommended: YesHigh quality, good price, great amenities. response from property - Thank you Akram! We enjoy having you as a resident here at Swallowtail! The property is peaceful and well-maintained.submitted by Austin R. - Jul 29, 2016 |Recommended: YesIt's super peaceful and the community has a very tight-knit feeling. Everyone is friendly, the amenities are great and are easily accessible. The landscaping is well-maintained and everything always looks nice. A wonderful place to livesubmitted by Dan B. - Jun 23, 2016 |Recommended: YesAn amazing place to live where the staff puts its tenants first and treats all issues as their own. I have lived in many different apartment complexes over the years but none with a staff and maintenance crew as great as Swallow tail Flats. the few issues I have ever had in the apartment were fixed within hours, not days but hours. The property was always well kept and workers were always friendly. The only down side to the place is when the female manager with short brown hair wasn't there their front desk seemed a little unorganized. However they would work hard to fix any errors. Place to Call Homesubmitted by John B. - Jun 21, 2016 |Recommended: YesAfter living in a bunch of lousy places in college, I'm happy I can finally be proud of where I live at. I came back to Columbus for a manager position and my apartment suites my lifestyle. Everyone is very courteous and attentive and the Woodruff company sure knows how to landscape. The pool and the Mill is what sold it for me. Really considering the fact that I'll live here for longer than a year. I love it submitted by Carlos S. - Feb 11, 2016 |Recommended: YesIt is the best decision I ever made to move here, the place is charming, all that I need is close and the people who work here are lovely. My children and I are pleased to be here. Swallowtail combines the connivence of the city with the tranquility of the country. submitted by Katherine E. - Jan 01, 2016 |Recommended: YesIs it the wonderful staff, the modern apartments, the beautiful landscape, the BIG pool, the state of the art exercise room, the 300 acres to explore, the fun surprises, the quaint town a few feet from our door, or just the free Starbuck's coffee and the yummy Waffle House catered breakfast once a month that makes us smile as we pay our rent Luckily, we don't have to decide we just get to enjoy thanks Caitlin, Berkley, Paul, and John for helping make Swallowtail, not just an apartment, but a home.